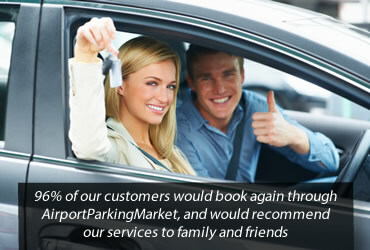 To book airport parking with AirportParkingMarket you need to have cookies enabled.. If you don't wish to have cookies enabled, you'll still be able to browse the site and use it for all other purposes than to book. Most web browsers have cookies enabled, but see Managing cookies below, for help to turn them on if you're not already set up. It's important to note that cookies can't harm your computer. We don't store any personally identifiable information such as credit card details in cookies we create, but we do use some encrypted information gathered from them to help improve your experience of the site. For example, they help us to identify and resolve any errors that may occur. We do have working relationships with very carefully-selected and continually monitored suppliers who may also set cookies during your visit to be used for remarketing purposes - in other words to show you different products and services based on what you appear to be interested in. - if we are required to disclose such Personal Information by any applicable law, regulation or legal process. If cookies aren't enabled on your computer, it will mean that your shopping experience on our website will be limited to browsing and researching; you won't be able to buy products from our site.